Welcome back to another round of Lamb Chop-Ups brought to you by Bubbawheat. Last week was a toughie, and I was able to sneak a couple letters past everyone, the answers from last week are at the bottom. If this is your first time playing, I have a word spelled out from cut up movie posters. 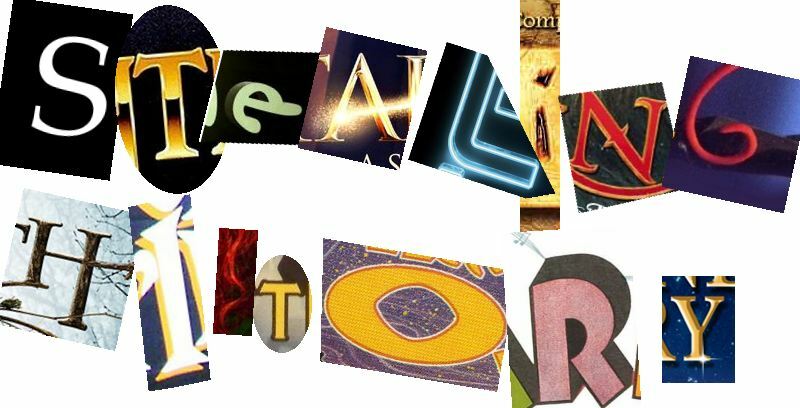 Your job is to guess which movie each letter came from, there’s also a bonus movie that is not pictured, but is hinted at by the word itself and/or the other movies used. I occasionally throw in some tricks to make things difficult, like rotating some pieces, so keep your eye out. Check out this week’s puzzle and leave your guesses. Some notes: While I try to use official movie posters, I don’t always use the most well-known posters. All posters are taken from the first page of a Google Image search for “(movie title) poster”. Either the first person to get all the answers right, or whoever gets the most right gets 10 points on the leaderboard, the first person to get the bonus movie correct will get 5 points, and everyone else will get 1 point for being the first person to guess each letter correctly, so be sure to toss out your guesses even if you don’t know them all at once. And Jay gets the 10 points for getting the most right! There may be one movie I “made up” in this round too. I agree, I’m thinking it’s Short Circuit as well. Cool World is definitely a real film. It starred Gabriel Byrne, Kim Basinger and Brad Pitt if memory serves me correctly. It was a live action/animation mix, and not all that good. He’s just annoyed that he couldn’t figure them out himself, it’s just a joke. Did I seriously just put Robots for E? haha, yep…and I blew up the picture trying to figure out where you came up with it. That’s some creative spelling you’ve got there. Though there are many cases where I do get tricky with the letters. There’s only one letter that hasn’t been guessed correctly yet out there. Well, I got the last one anyway right?